Just like a good butler this non-acid bowl cleaner and deodorizer really cleans-up, leaving behind only a pleasant floral scent. When used daily, the Butler helps prevent formation of scale or rust stains. The Butler provides all this without using damaging acids or corrosive chemicals. 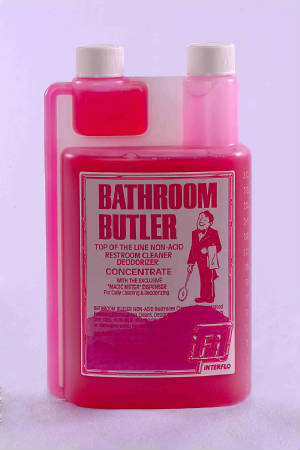 The Butler keeps bathrooms smelling fresh for hours!